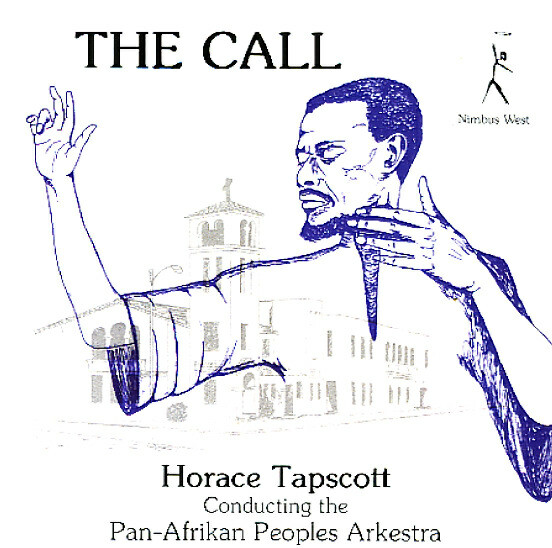 Large-group genius from the legendary Horace Tapscott – one of the few recordings of his groundbreaking Pan Afrikan Peoples Arkestra! The music here is totally righteous right from the start – even more searching and soaring than Tapscott's trio or solo work – thanks to help from some of the hippest, most spiritual players on the LA scene of the late 70s – a lineup you'll recognize from other Nimbus Records sessions, all working together beautifully to realize the unique vision of Horace! Tracks are long, and feature Tapscott on piano, Jesse Sharps on saxes, Adele Sebastian on flute and vocals, Herbert Callies on alto, James Andrews on tenor, Lester Robertson on trombone, Kafi Larry Roberts on soprano, and Linda Hill on additional piano – all working together perfectly as a unified ensemble. There's a strong Strata East vibe to the whole record – and titles include "The Call", "Nakatini Suite", "Quagmire Manor At Five AM", and "Peyote Song III". © 1996-2019, Dusty Groove, Inc.